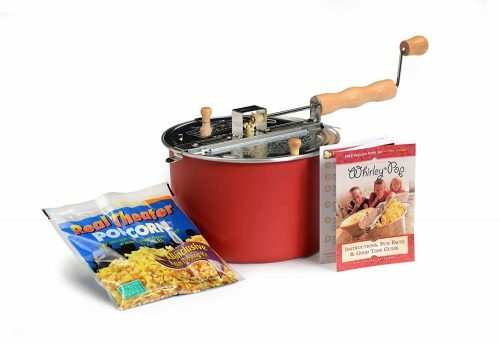 Make perfect popcorn in 3 minutes at home Red Whirley Pop Stovetop Popcorn Popper with Popping Kit! Cooking it yourself means that you can customize your oil and butter and it only takes about three minutes to cook, so it’s basically just as fast as the microwave. 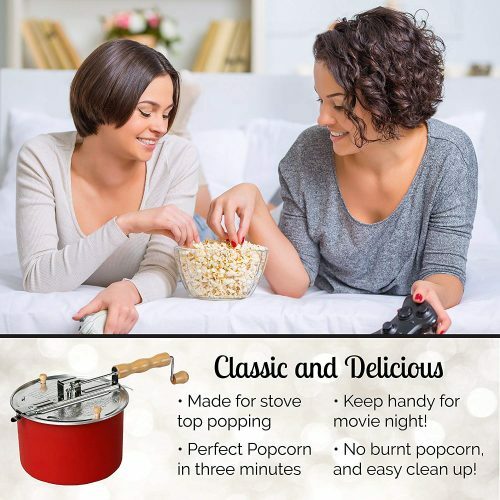 Get this from Amazon at 30% discount, and your late-night popcorn craving will be sorted!